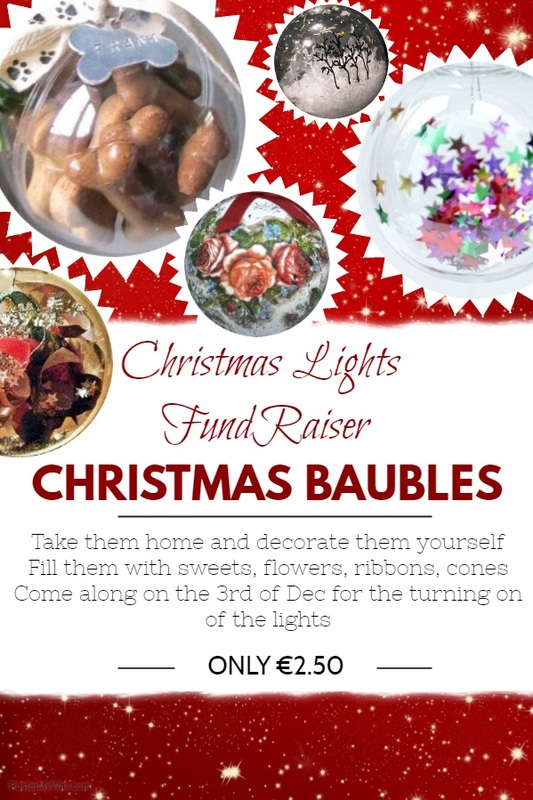 In an Unique way to raise some funds to purchase more Christmas street lights for Ardara, the local shops and other businesses in Ardara town, and those around Narin, Portnoo and Kilclooney will be selling Clear Christmas Baubles for people to buy and decorate. These will be on sale within the next few days at €2.50 each. Simply purchase your baubles, take them home, get creative and decorate them for yourself or for whomever you wish. Fill them with whatever you like: tinsel, glitter, pictures, flowers, sweets, cones, old cards, poems; the list is endless as to what can be done to decorate and make each bauble unique! Just let your imagination run wild and have fun!. Baubles will be on sale until 3rd December.